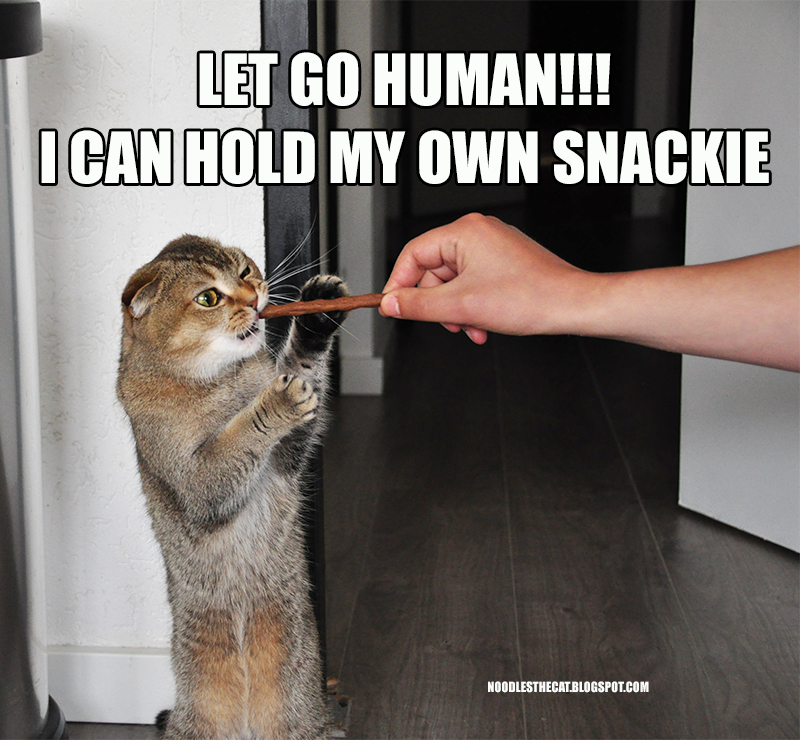 I IZ NOODLES THE CAT: Let go of the snackie! Let go of the snackie! 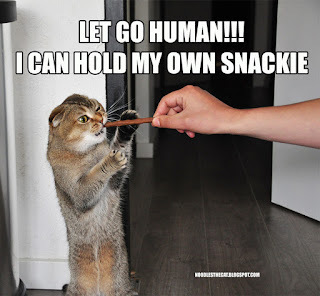 Just let go of the snackie!! It iz mine and I iz not sharing!